PENSACOLA— Employment is more than a paycheck for many of us. 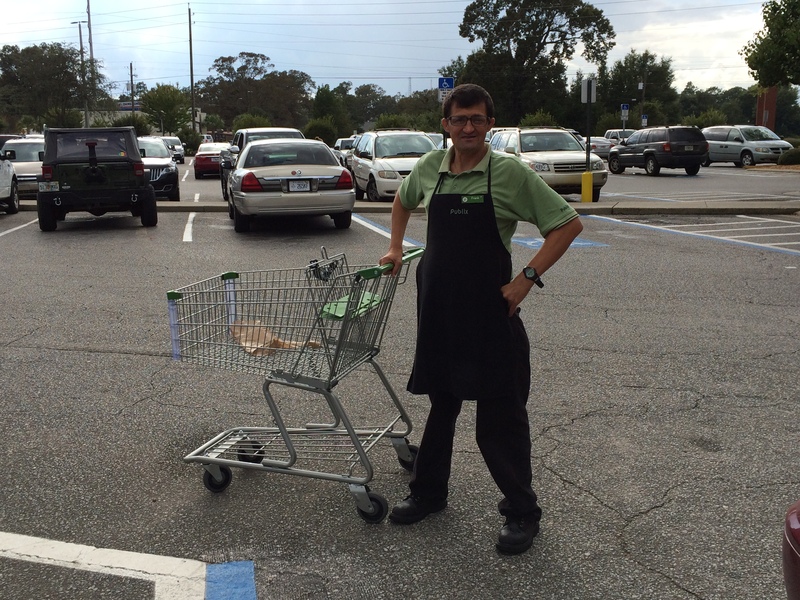 Frank McKiernan, a courtesy clerk with Publix in Pensacola, is a wonderful example of how a job can be a catalyst that allows a person to bloom. McKiernan joined Publix on West Nine Mile Road in April 2013 as a shy, quiet young man and has blossomed into an independent and successful employee. bags. “I like to work, because it keeps me busy and out of trouble. I also get to talk with the customers,' said McKiernan, adding he likes his coworkers and everyone is helpful. McKiernan has a developmental disability and is a client at Florida’s Agency for Persons with Disabilities. Coconino highlighted McKiernan’s upbeat energy and positive attitude.